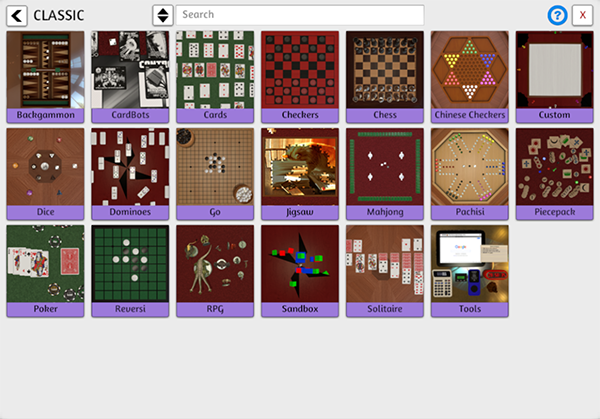 Tabletop Simulator comes with 20 classic games modes that you can use to play traditional board games, various card games, or mix and match the different objects to get started on your own creative games. You can create puzzles, use the RPG Kit to get started on a dungeon, build a house of cards, use the digital tools like the Tablet to watch YouTube videos, and much more! You can find the complete list of games in this article.